Living near the border of Holland and Belgium this Belgian Dutchman soon surrendered to the virus called Jumpstyle! After some years of playing in small clubs and venues things got a little bit more serious when in 2005 his first releases had seen the light! Once a dream and now becoming a reality! Patrick lived for his music and finally he could share his passion and love with others across the globe. 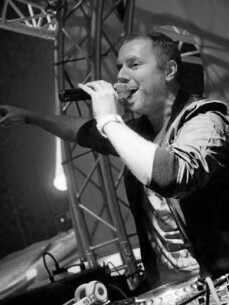 Amsterdam, Antwerp, Paris and even Valencia all witnessed a DJ performance by Pat B. And everywhere he went there was only 1 mission! Make people dance and enjoy music just like himself! There isn`t anything better, is there…? This all resulted in more bookings at clubs and festivals. Reverze, Decibel and Hardbass are just a few of them. But size doesn’t matter… If it`s for a thousand crazy Spanish people or for 1 Belgian who downloaded a Pat B podcast it`s all with the same intention. Enthusiasm and love for music! All the hard work paid off with numerous mix compilations, worldwide releases and recently a contract at sur+ a major label in Jumpstyle music.